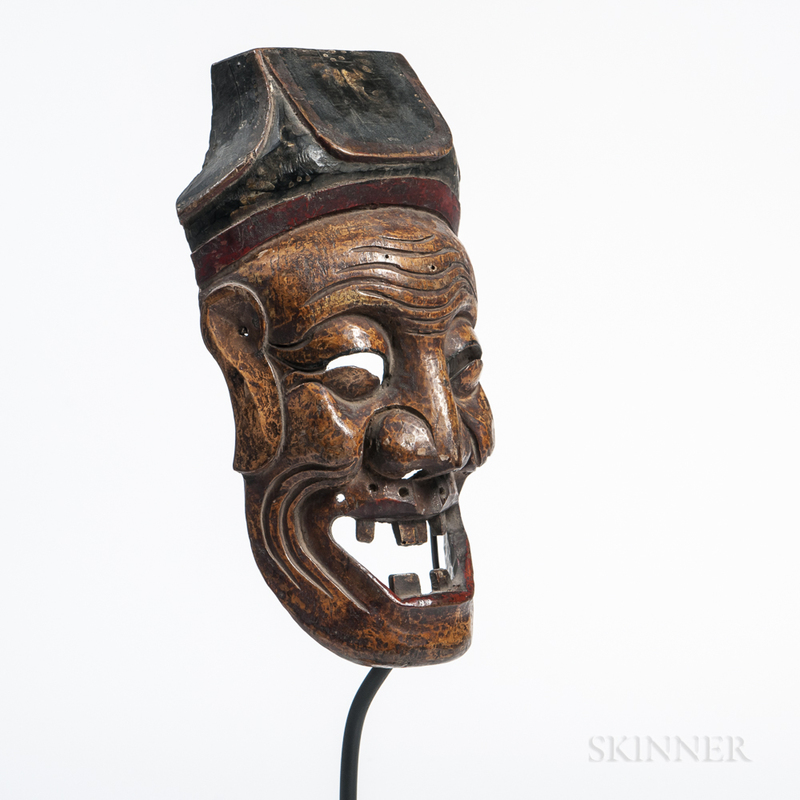 Chinese Polychrome Nuo Mask, Sichuan Province, southwestern China, late 19th century, Nuo theater ritual, hollowed out form, exaggerated features, wide open mouth with teeth, pierced eyes, wearing a black decorated hat, ht. 12 in. 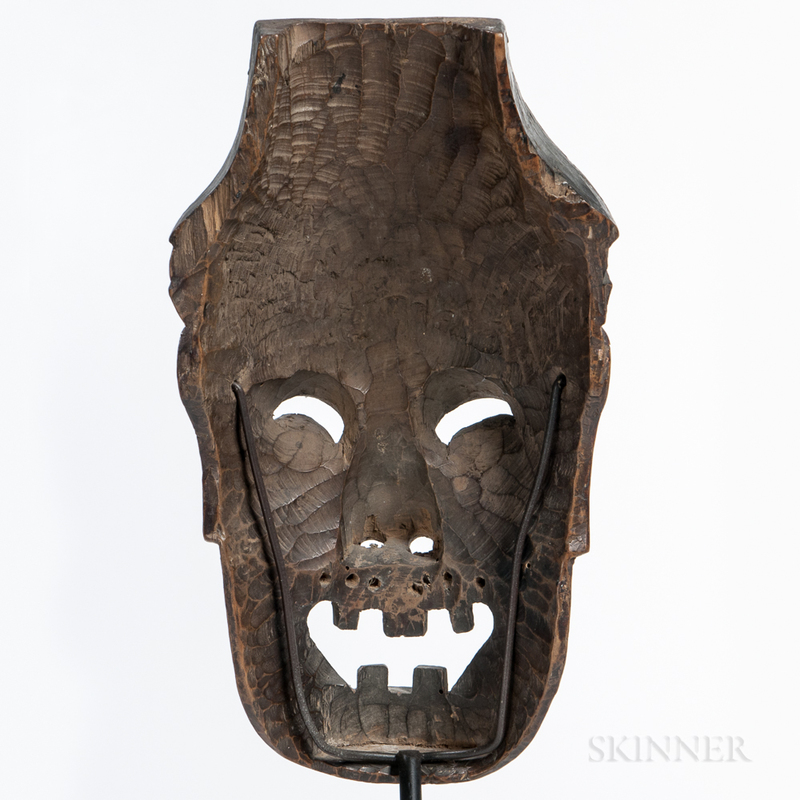 Provenance: Private collection, Cambridge, Massachusetts: Joe Loux Tribal Art, San Francisco, California.